COHHIO is a coalition of organizations and individuals committed to ending homelessness and to promoting decent, safe, fair, affordable housing for all, with a focus on assisting low-income and special needs populations. 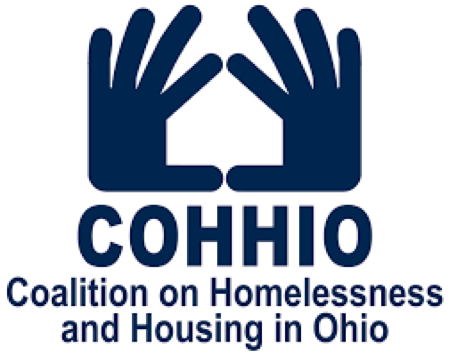 Originating as the Ohio Housing Coalition in 1974 before merging in 1994 with the Ohio Coalition for the Homeless (formed in 1984), COHHIO has been the voice of Ohio’s underrepresented for decades. We pursue systemic change to benefit vulnerable populations, to end homelessness and expand affordable housing in Ohio. • Facilitating local efforts to combat youth homelessness. • Protecting and promoting tenants’ rights. • Helping individuals who are homeless and disabled obtain SSI/SSDI benefits to become stably housed. • Coordinating homeless services agencies’ efforts to secure funding and comply with federal mandates in Ohio’s 80 rural counties. • Strengthening underrepresented communities through voter participation.